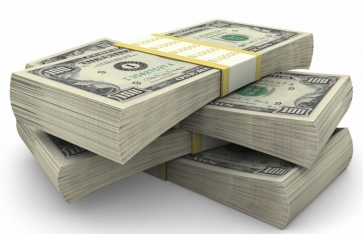 If you are marketing on line, you need to maximize every penny spent on attracting traffic. It could be that where you are sending your in-bound traffic may be more of a detriment than a help and most companies do just that. The common thinking is that the home page on your website lets people make choices about where they need to go. That may be true for the organic traffic but if you spent money to attract a visitor to a Blue Widget page, then why confuse them with other products? Internet readers are searching for specifics and if blue widgets is what they are after, it makes sense to give them what they want. You only have 28 seconds and you can lose them forever along with the money you spent to get them. So here is an idea or two to help you send traffic to the relevant parts of your site in order for them to find what they need easily and buy from you. This will help you yourl improve conversion rates and make visiting your site an easy experience for visitors and a profitable one for you. First, your home page is an introduction to your site so don't send everyone there. Let them land on a relevant product page where you expand on features and benefits. This one task alone will increase conversion and prevent wasting money. If you are advertising the blue widget mentioned above and you have multiple widgets, make sure people land on your blue widget page. The visitor wanted the blue widget, after completing the transaction you can direct them to other widget pages. Make it easy and reduce decision making and you will increase conversions. . If you don't have one, create a specific landing page for blue widgets so when customers see an advertisement, they click to find out more and get sent to a specifically targeted page. Here they only see what they are, with no distractions or other elements to get in the way. Keeping it simple is the best way to leverage your website traffic and to improve conversion. Another good idea is to never send visitors to your main website at all. Create a landing page for a specific product. Your on-line marketing collateral would not even link to your website. In some cases this is even better for Google Adwords because everything is self contained and it works well if you have a complicated product offering or you want to share a lot of information to a user in a way that still focuses on one product. An example of this is movie promotions. They typically build a small site to promote each film and don't let folks roam around on their website until they find what they are looking for. Because most online attention spans are very limited the landing page is a very focused page. You are paying for traffic so you need to make sure it converts as best as it can. 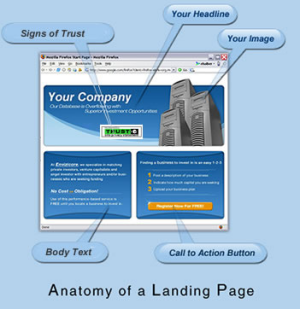 Moreover the landing page can help you rank better for those competitive keywords. Here you can answer questions in a Q&A format using keywords and not be subject to keyword stuffing conflicts with Google. Moreover, many on-line searches are in the form of questions which leads to other benefits. One of these extra benefits is that you are providing the search engines with a much more focused content. This allows them to rank the site higher. That increased content exposure means the site is viewed as more relevant than your main website. Recent Google updates state explicitly that they are looking for the best related websites not simply the most relevant. This is a fundamental shift in philosophy. It is time to review your marketing by actually looking at where you are sending people. The location can be the difference between losing business and growing business online. With the new year approaching, now is a good time to step back and review your processes. Send me a note if you have comments or questions.